Have you ever watched a flick and said to yourself, "Hey!...that motion picture is about my life (or part of my life). At what point was someone watching me to write this story?" It has happened to me a few times. There have been some cinematic adventures that, I swear, are, word for word and action for action, events that occurred in my life. ...is a story about the new kid in the neighborhood who doesn't know much about baseball. His parents give him a baseball glove that is old and falling apart and barely fits. The local kids have a place where they play baseball in the middle of the locale, and they ask the new kid to join them, although they are a bit wary because he (the new kid) looks dorky and his glove is sub-par. During one of the games, a fly ball gets hit right to him. He is in the outfield, the ball seems to be moving in slow motion, everyone else on the team holds their breath - sure he isn't going to catch the ball. But after he DOES catch it (even though it looked - and felt - like it was going to pop out of the glove), everyone is cool with him and he finally feels like they really accept him. He is in!! It's funny that while I was writing this scenario, I kept thinking, "Am I writing about the movie, or am I writing about what happened to me?" And then I realize that the answer is BOTH. The movie portrays the events in my life exactly! And do you want to hear the kicker? 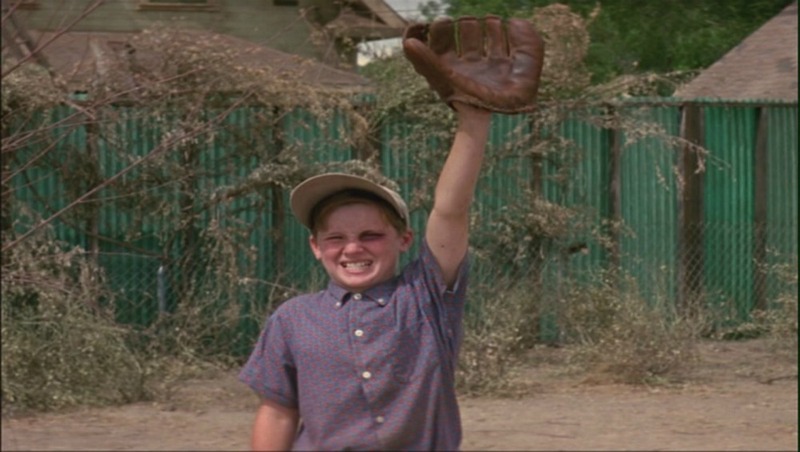 The movie "The Sandlot" was filmed in a cozy suburban neighborhood about 3 miles from where these events happened to me! 3 miles from where I grew up! Isn't that insane? Someone HAD to have been watching me!! There have been other movies, too. Not all of them were movies where the whole movie portrayed my life...but they had scenes in them that were taken right out of my history. "The Life of Pi" - I was actually attacked by a tiger and lived through it. "Punch Line" - I was a stand-up comic who had a female comedienne love interest. I am sure that YOU have seen a movie and thought, "Hey, that happened to ME, too!" If that HAS happened to you, I would love to hear what movie it is and how it relates to your life! Please let me know by telling your story in the form below! They made a movie about my life! Have you seen a movie that you swear was written about you? Please share which movie it is and how it is like your life!